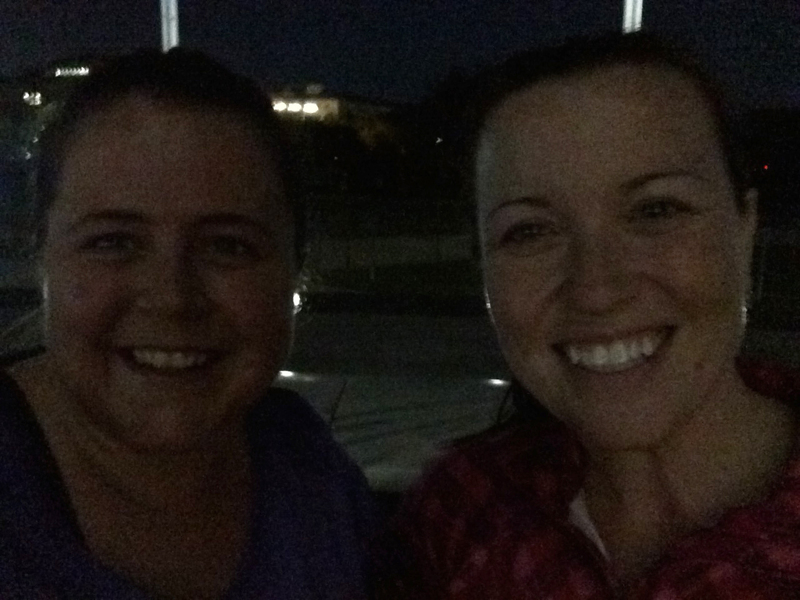 My running buddy took off for even cooler climes at her new post this weekend, so it looks like I’ll be on my own in knocking off a few spots off my DC running bucket list before I take off for Maryland, then Jerusalem, in a few weeks. * We’ve been in DC since February, and it’s only now that the rapid departure of our friends is really starting to sting. A few friends here, a few friends there, I can live with. But now that it’s starting to feel like we’re among the only ones left? It hurts a little bit more to say good-bye than it did a few months ago. This is, perhaps, the worst part of the transient nature of my job; every single time we move, I forget that it’s going to be like this. Before Camille left, we hugged, and she said, “Next time we’re in the same part of the world, we should do this again some time!” It’s heartening because we probably will land in DC or somewhere else at the same time again; but heartbreaking because it could be another ten years before it happens. Last night, I went out to dinner to say good-bye to another great friend. We will serve our next tours in the same part of the world, and will most likely serve together at some point in our careers, but that doesn’t make it any easier to realize that it’s going to be months or years before we see each other face-to-face again. And when we do, it will only be for a very short time. I’ve never before been envious of those that put down roots and stay in the same place for years and decades at a time. I’m not envious now, especially with the communication power of the Internet, but I can’t help but think about how different life would be with constant in person contact with friends and family. My support network is scattered across the world right now, and as wonderful as that sounds in the abstract, it can be really tough when I just need a friend to lean on. The good news is that Skype exists! Several mothers of toddlers who were at the FSI daycare together are organize Skype sessions for our girls’ to see each other, from places as diverse as Cairo and Prague and Bujumbura. That’s amazing. And something I never would have imagined when I began the life of a nomad straight out of college. One of my primary personal goals for my next tour is to maintain more regular contact with my friends and family, both back here in the States and everywhere else they’re traveling. Last post-run selfie. So dark you can barely make us out. 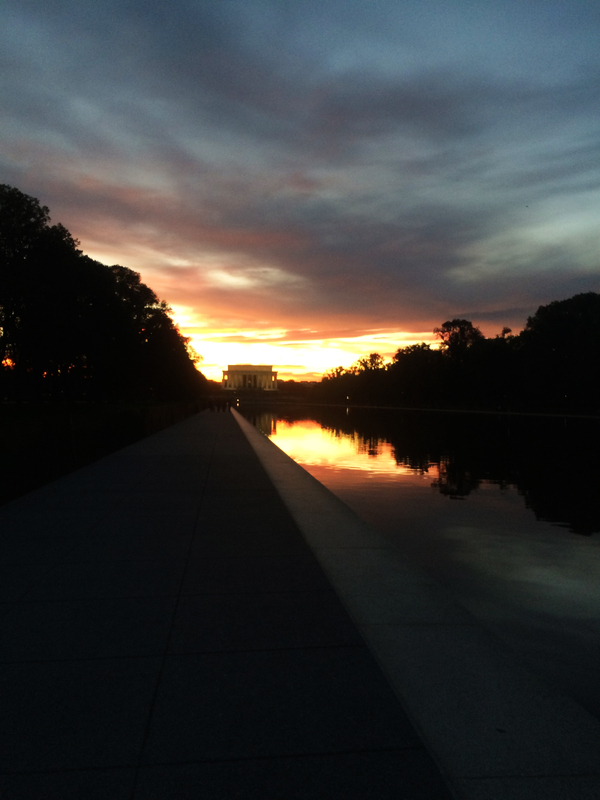 In any case, we got a lot of great photos of our sunset run around the mall! Running makes everything better. Especially with friends and the kids. Bertrand joined us with the girls. Thumbs up! 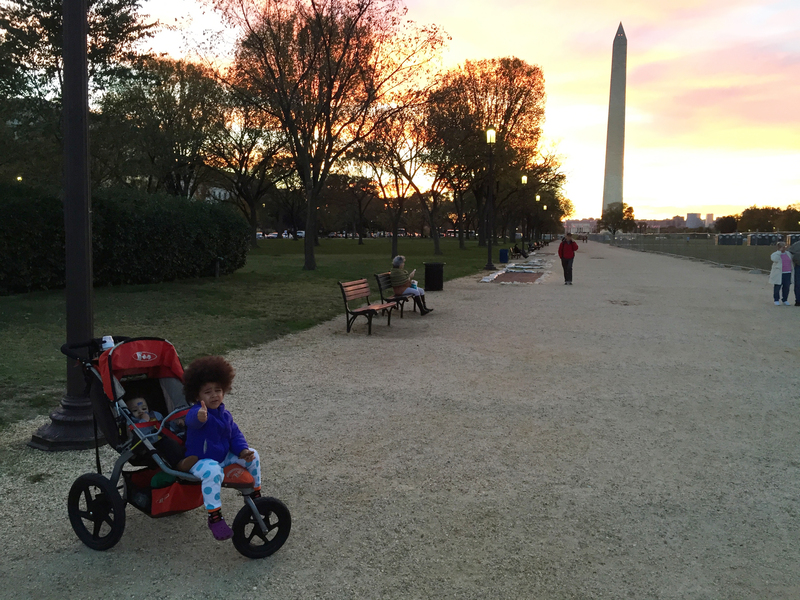 * If anyone’s up for 15-minute miles (with or without the toddler in tow), I’ve still gotta hit Rock Creek Park, Embassy Row, the White House, and the other side of the mall. It will NOT be ten years before we run together again! I refuse to let that happen.